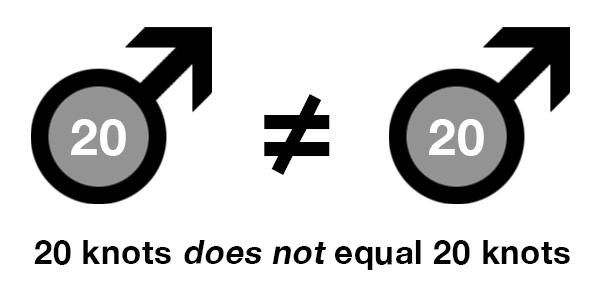 That statement probably makes no sense – 20 knots is surely 20 knots? The wind you feel blowing on your face at different locations may feel the same (the wind recorded on a wind meter will also read the same) but when you hit the water your 9m kite feels pretty under powered in Cumbuco and serious powered up in Cape Town. Why is this? We typically measure the strength of the wind using wind speed but just as important is wind density. 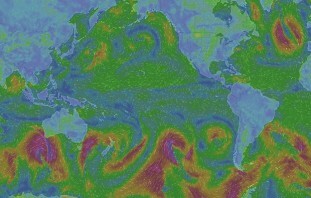 A low density wind will not have as much punch as the higher density variety. 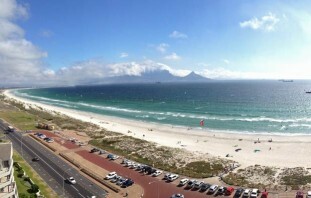 Typically hotter locations will have lower density winds but its not quite that straight forward – Cape Town is a pretty warm place but there its the colder water which means the wind is far denser, giving Cape Town some of the most extreme and powerful wind. 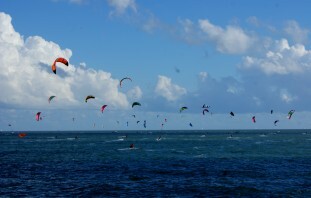 So what does this mean to us as kitesurfers? Firstly, one type of wind is not better or worse than the other, they both have their positive and negative points. 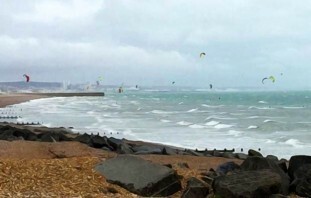 High density winds are great as they give you loads of power and allow you to get out on smaller kites but the downside is that any kite flying mistakes will have higher consequences! Lower density winds greatly lower risk when making a mistake! Throwing your kite through the power zone (on purpose or by mistake) is far easier to control, hell, in Cumbuco I’d accidentally send my kite into a kite loop regularly and hardly notice it! The main thing to bear in mind is that when heading to a new location on holiday don’t just assume that because the advertised wind speed is the same as your home spot that you’ll need the same kites. 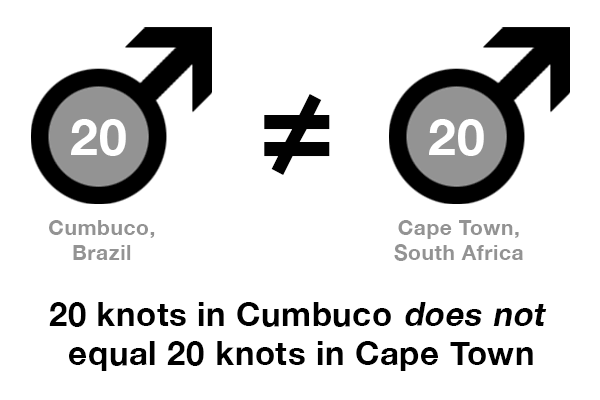 I’ve used the two spots in this example as Cape Town is a regular winter trip for me but my recent trip to Cumbuco really opened my eyes in demonstrating this fact. Most days in Cumbuco it was 20 knots, winds which in Cape Town would have been perfect for me on a 9m or 7m but I was constantly surprised to find that my 11m was needed everyday and I never really felt over powered. So if you you’re looking to learn new tricks, these lower density wind locations can be a good bet. There is a reason that all the Pro freestyle riders head to Cumbuco every year to train and come away with a whole repertoire of new tricks – but they all know that they’ll struggle to land half of them at many other locations around the world! Just remember pack your big kites! What Is El Niño and Why Is It Messing With Our Wind? !